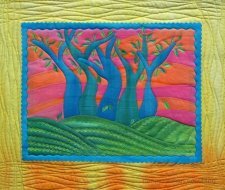 "Laura Wasilowski and Frieda Anderson, affectionately known as the Fusing Chicks, proposed a TV idea awhile ago on creating Art Quilts using the fusible collage concept. 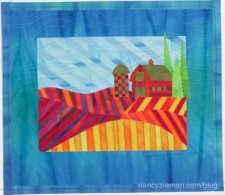 After seeing the quilts and a few of their unconventional steps, I knew their idea would be perfect for a Sewing With Nancy series. This week, Art Quilts—Fusible Collage Workshop, part 1 is the Sewing With Nancy‘s featured online streaming video. 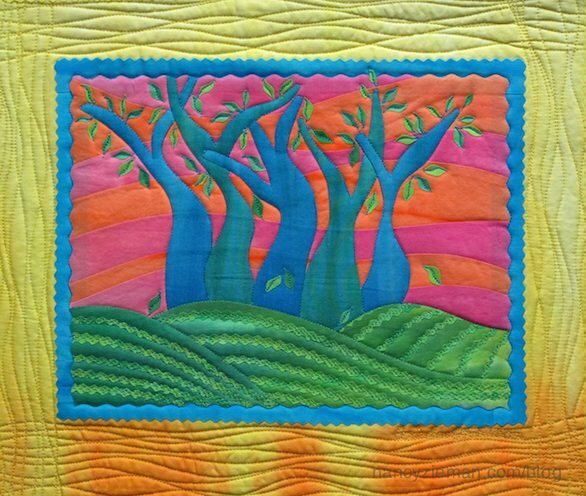 "Frieda and Laura take us through the steps of creating a fusible collage art quilt. Each lesson is mapped out in the accompanying workbook."